Burdick Smith has been with our firm for just over a year as associate counsel. 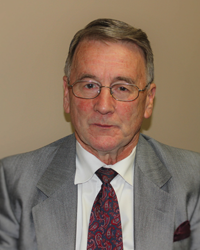 Burdick has practiced law in the Cariboo for almost 30 years. Many of you may recognize him as a lawyer, some of you may know him from his active community involvement or to others he may be referred to as friend. Burdick is a valuable addition to our team of legal professionals and provides legal services in Criminal Law, Wills and Estates and Real Estate Law.